In South Africa the submission of a portfolio of learning has become a national requirement for assessment of family medicine training. A national portfolio has been developed, validated and implemented. The aim of this study was to explore registrars’ and supervisors’ experience regarding the portfolio’s educational impact, acceptability, and perceived usefulness for assessment of competence. Semi-structured interviews were conducted with 17 purposively selected registrars and supervisors from all eight South African training programmes. The portfolio primarily had an educational impact through making explicit the expectations of registrars and supervisors in the workplace. This impact was tempered by a lack of engagement in the process by registrars and supervisors who also lacked essential skills in reflection, feedback and assessment. The acceptability of the portfolio was limited by service delivery demands, incongruence between the clinical context and educational requirements, design of the logbook and easy availability of the associated tools. The use of the portfolio for formative assessment was strongly supported and appreciated, but was not always happening and in some cases registrars had even organised peer assessment. Respondents were unclear as to how the portfolio would be used for summative assessment. The learning portfolio had a significant educational impact in shaping work-place based supervision and training and providing formative assessment. Its acceptability and usefulness as a learning tool should increase over time as supervisors and registrars become more competent in its use. There is a need to clarify how it will be used in summative assessment. South Africa has seen major advances in healthcare to address its quadruple burden of disease; namely HIV and tuberculosis; non-communicable chronic diseases; injury and violence; and maternal, neonatal and child health . The national plan for re-engineering primary health care (PHC) emphasizes the central role of the family physician as a clinical leader in the district health team. The planned national health insurance scheme needs a massive scaling up of the numbers of doctors [2, 3]. South Africa was short of 80 000 health care professionals in 2008 . The challenge of training and keeping sufficient numbers of competent doctors in all 52 health districts is influenced by multiple factors, including career choices, job satisfaction, career advancement, work conditions, and educational opportunities [4, 5]. The importance of social accountability requires that education and training of health professionals must be aligned with the health needs of the country . The national human resource policy aims for 900 family physicians by 2020, which will require a doubling of the number of registrars in training from 2014 . National training outcomes and a single national exit examination have been developed for family medicine [8–10]. Registrars enter a 4-year programme at one of the eight university departments, attached to a clinical complex consisting of PHC facilities, a district hospital, and a regional hospital. Eligibility for the exit examination of the national College of Family Physicians, to qualify as a consultant family physician, requires completion of three years of supervised clinical training in a registrar post in one of these complexes and submission of a portfolio of learning with satisfactory evidence of learning. 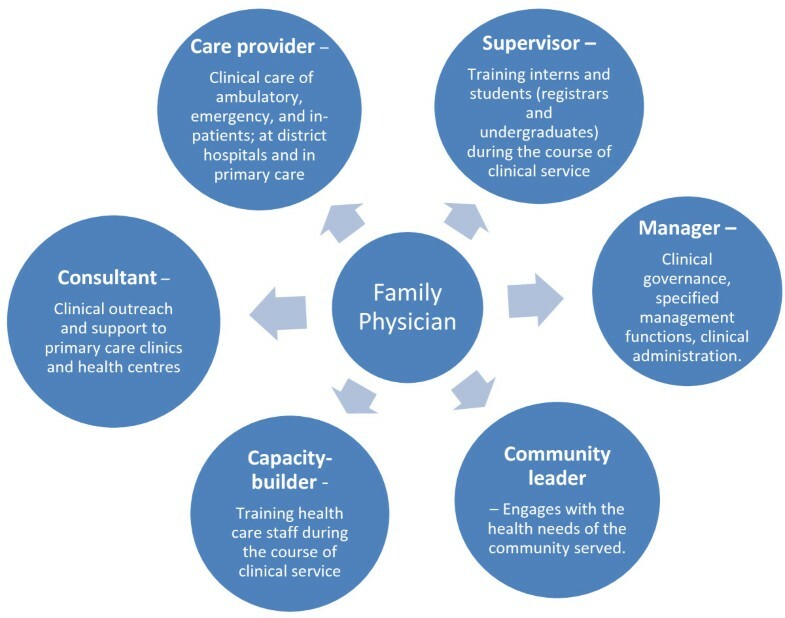 Figure 1 illustrates the various competencies expected from the family physician . The competencies expected of a South African family physician [] . While workplace-based assessment (WPBA) has been discussed in educational policy in South Africa for the last 20 years, most postgraduate programmes still examine their registrars away from the PHC and district context, usually in simulated environments at the university [12, 13]. Worldwide, the growing interest in quality improvement and increasing demands for social accountability have shifted the focus of assessment from the university to the work place [14–16]. WPBA typically involves the use of tools for direct observation of patient encounters or procedures, 360-degrees peer review, and significant event analysis [14, 17]. Portfolio-based learning as part of registrar’s WPBA encapsulates many aspects of competency-based assessment and has been introduced in many countries and disciplines in the last 20 years . We can define the portfolio as “a collection of material made by a professional that records and reflects on key events and processes in that professional’s career” . Many purposes for keeping a portfolio exist, which must be made explicit to both the registrars and their supervisors [18, 20]. Depending on the purpose, the portfolio’s content could range from a logbook-type enumeration of skills performed to a personal journal with evidence of deep reflection. It could be for personal or professional development, for curriculum requirements or to satisfy external agencies, such as the College of Family Physicians. The portfolio needs to go beyond being just a collection of achievements and demonstrate reflective understanding of how and why these achievements contributed to personal and professional growth. In other words, reflective learning, as part of lifelong learning, embedded in everyday professional practice, is an integral part of the portfolio [21, 22]. Attaining this deeper level of reflection on learning is not supported by the pedagogic framework of teacher-centred (as opposed to learner-centred) education people grew up with, or by the service delivery workload which squeezes out time to reflect in- or on-action . The process of reflection itself requires engagement in critical self-awareness, with skills needed in mindful practice [24, 25]. Therefore the creation of an ideal portfolio constitutes a shift in one’s educational paradigm, which must be achieved in addition to understanding the portfolio requirements. For this type of learning to happen as part of the process of keeping a portfolio, the registrar needs support from a skilled supervisor, who understands reflective learning . Since the 1970s adult learning, or andragogy, introduced the concepts of self-directed learning, accumulated experience as a resource for learning, and problem-based, real world learning . Experiential learning describes how registrars learn from having a particular experience, reflecting on that experience, developing abstract conceptualisations and then testing these in a new situation . Facilitating such experiential learning should be an extension of everyday life, and as valid as other forms of learning . This form of deep learning, as opposed to lecture style didactic surface learning, assumes intrinsically motivated registrars, actively involved in their own learning, exploring their thinking in learning conversations with supervisors and others [28–30]. The portfolio grade can count towards the university’s assessment of clinical family medicine in the Masters programme. A satisfactory completed portfolio over three years is mandatory for the national College exit examinations. It encourages the registrars to regularly reflect on and document their learning, prompts the learning process, and through changed behaviour leads to better patient care, and a habit of lifelong learning and reflection. The portfolio was recently introduced at a national level in South Africa, and still fits like “new shoes” which must be worn in [37, 38]. While much has been written on using portfolios in postgraduate training and assessment, the practical use of portfolios, particularly in South Africa, is still not well understood. The aim of this study was to explore the views of registrars and supervisors regarding the portfolio’s educational impact, acceptability, and perceived usefulness for assessment of competence. This was a prospective, descriptive study, using qualitative semi-structured interviews with key informants. The study was carried out in compliance with the Helsinki Declaration and approved by the Health Research Ethics Committee of the University of Stellenbosch, with reference number N09/10/258. The eight medical schools in South Africa each have a postgraduate family medicine training programme, offered at a Master’s level (MMed), over 4 years. Various combinations of clinical rotations exist in PHC, district hospitals, and specialist departments in regional hospitals. The registrars work under direct supervision of either family physician consultants or specialists in the regional hospitals. Supervisors and most programme managers also do clinical work. With the recognition of the specialty of Family Medicine in 2007, the College of Family Physicians has introduced a unitary exit examination for family medicine training in the country. A satisfactory portfolio of learning over three years is required for their Fellowship of the College of Family Physicians [FCFP (SA)]. National consensus was reached in 2010 on the content and construct validity of the portfolio and a draft national portfolio implemented . After a national survey to obtain feedback on the portfolio it was further refined and the final portfolio is now the standard in all eight programmes [36, 39]. Taking a reflexive stance, we need to give a brief explanation of how the researchers are positioned contextually in relation to this research . The first author (LJ) has been working in clinical practice for 20 years. He is a family physician supervisor of registrars in training and the training complex co-ordinator for the George training complex under Stellenbosch University. He is therefore immersed in the everyday issues of clinical work, training, learning, and assessment of registrars. The second author (BM) is currently the Head of the Division of Family Medicine and Primary Care at Stellenbosch University and is responsible for the final approval of portfolios for entry to the FCFP (SA) national exam. He previously developed the postgraduate training programme at Stellenbosch University and the previous logbook, aspects of which were incorporated into the portfolio. He has a strong background in qualitative research and has published extensively in this area [41–45]. Until recently he was a full time family physician working and teaching in clinical practice in South Africa. The third author (AD), from Belgium, brings an external European perspective to the study and helped to make explicit the differences between clinical learning and assessment in the South African context versus the European context. He has extensive experience in using portfolios in the workplace and is an academic and practicing family physician. He is also familiar with the local context through his involvement over several years in a project to develop family medicine education in South Africa that was funded by the Flanders Interuniversity Council [46, 47]. This is the third article, in a series looking at the development of the family medicine learning portfolio in South Africa, by all three authors. Nine registrars and eight supervisors from all eight universities were purposively sampled as key informants because of their experience with using the new portfolio during the previous year (see Table 1). The first and second authors are well acquainted with all eight university programme managers. We asked the programme managers to recommend registrars and supervisors who were using the portfolio regularly and who would be willing to give an in-depth account of their experience. Participants were then approached according to these recommendations. Telephonic in-depth interviews lasting 30-60 minutes were conducted by the principal investigator. We used an interview guide (see supplementary files) to conduct the interviews and the topics to be explored were selected from the literature review and our own previous survey of registrars’ and supervisors’ experiences . The interviews were digitally recorded and the interviewer made field notes during the interviews. The opening question was, “How are you experiencing the portfolio in your context?” In line with the study objectives the three main issues that were explored included how the portfolio contributed to learning, how its practical use could be improved, and how it could be used in assessment of competence. From these, the purpose of the portfolio, experience of its use in clinical learning, balance of work and learning, personal development, formative versus summative assessment, supervisor meetings, practicalities of secure academic time, use of portfolio tools, and ways of ensuring regular entries and progress, were discussed. We used ATLAS.ti version 6.2.27 software and the 'framework analysis’ approach described by Ritchie and Spencer . 'Framework analysis’ is an analytical process which involves five distinct yet highly interconnected stages. These stages are: familiarization; identifying a thematic index; coding; charting; mapping and interpretation. Familiarisation with the data involved reading the transcripts in their entirety several times and checking against the audio tapes, as well as reading the field notes taken during the interviews. During this process codes began to emerge and led to the development of a thematic index. The thematic index was deductively structured according to the objectives of the study, but the codes within this structure emerged inductively from the data. Following this all the transcripts were coded according to the thematic index. The fourth stage created charts that collated together all the data on each of the three objectives. Data for supervisors and registrars was charted separately. These charts were then used for interpretation of the data in terms of the range and strength of different viewpoints and possible associations between them [48–50]. Respondent validation was enabled by giving feedback on the provisional analysis to registrars and supervisors in subsequent workshops, which involved groups of between 30 and 40 registrars and supervisors at all eight universities. During these workshops participants had the opportunity to confirm, clarify or modify the interpretation of the results. Furthermore we also presented our work to the heads of departments and programme managers, some of whom are supervisors themselves, at the eight universities. The results are presented according to the three objectives for the study that explored the portfolio’s educational impact, acceptability and use in assessment. While some registrars were negative about the portfolio, many more were positive. They felt that the portfolio made visible the translation of theory into practice, simply by writing down their reflective thinking. The portfolio was acting as a catalyst to “…force a meeting with the supervisor…”. This was due to the requirement for reports from the supervisor, their signatures to verify entries and recording of direct observations. Registrars found the need for signatures negative. While ownership of learning and portfolio completion rests with the registrar, a theme of shared accountability with the supervisor emerged. This clearly indicated that unless the supervisor was held accountable for their role as clinical trainer in terms of regular direct observations and educational meetings, the culture of prioritising service delivery continued to overshadow learning. Participants expressed uncertainty as to how the portfolio contents would be summatively assessed. Respondents felt that most summative assessment was focusing on completeness of the portfolio, while the next step would be to look at the quality of the portfolio entries. The tension between summative and formative assessment was well recognized by most participants. Considering the purpose of the portfolio, they felt that we need to develop summative assessment indicators that assess the formative aspects captured in the registrar’s portfolio of learning. Registrars found the portfolio useful to plan and organize their learning. While the portfolio at this stage is mostly a collection of learning activities, its educational impact could be enhanced through increasing the registrar’s awareness of learning opportunities and their ability to reflect on these experiences. The portfolio has made the challenges of introducing competency-based adult learning more visible and made explicit the need for a supportive learning climate within the clinical environment [37, 51]. Critical to prioritizing learning within the pressurized clinical service was a shared accountability between the registrar and the supervisor, with registrars taking responsibility for their own learning and supervisors providing regular feedback. The need for direct observations and case-based discussions in educational meetings made regular registrar-supervisor meetings obligatory. There was a clear need for supervisors to improve their mentoring skills and for registrars to fully embrace adult learning. Service pressure made it difficult to reflect on work and document learning. Nevertheless, this demanding clinical context in which the portfolio of learning is embedded is very rich in terms of experience and can provide fertile soil from which the habit of lifelong learning can grow . This worldwide challenge is exacerbated in low and middle income countries where human resources are scarcer and workload is very high. Training programmes in this context need to anticipate this and make plans to overcome this challenge to the use of portfolios [52–54]. A review of the educational impact of portfolios concluded that “improved student-tutor relationships” was one of the main benefits, together with increased self-awareness and engagement in reflection . Introducing the portfolio may be an intervention that stimulates a shift in supervisory style from directing to guiding and from counting to reflecting. It may in fact help to create the very learning environment that it is meant to be documenting, becoming itself an agent of change. This educational relationship between the registrar and supervisor within the context of a community of practice is perhaps the most vital and difficult area to navigate . Worldwide, but particularly in low and middle income countries such as South Africa, there are too few effective supervisors who understand their role as trainers and clinical role models and who are recognized and rewarded accordingly. Good doctors do not necessarily have skills in teaching, giving feedback, or assessment . Teaching registrars involves vulnerability, relationship, honesty, trust and kindness . Incentives to encourage and reward mentors could include that mentors are kept “in the know” with developments in medicine and medical teaching, build better relationships with registrars, receive feedback themselves, and meet potential future family physician colleagues . Within our culture of service delivery, clinicians have an established culture of documenting their clinical reasoning in patient notes. What is also needed is a culture of professional development in which clinicians capture their learning in a clear, concise, continuous way possibly using a portfolio [23, 35, 56, 57]. It was evident that self-management skills that build reflection and develop resilience are much needed for both registrars and supervisors [23, 58, 59]. The paper-based portfolio was accepted, albeit with a call for more electronic tools that are compatible with mobile devices, and eventually an electronic portfolio, similar to examples from more developed countries [35, 60, 61]. Completing a logbook in the portfolio created a particular conflict between the traditional counting of procedures performed and the need to reflect on and learn from one’s performance. Personal organization of learning, self-management and a discipline of regularly updating the portfolio were strongly supported . Observed consultations and procedures were important, but difficult to do in the workplace [52, 62]. Suggestions to make this easier included having learning tools daily at hand, regular portfolio updates, and a central coordinator who collates portfolio entries monthly and gives feedback. Regular face-to-face meetings between registrars and supervisors ensure authenticity of learning with supervisors’ signatures, the absence of which is a disadvantage in pure e-portfolio systems . While assessment at this stage focusses on completeness, for example the number of direct observations and educational meetings, the next step is to assess the quality of learning. There was strong support for both an end-of-rotation summative and a mid-rotation formative assessment. The shortage of supervisors has led some registrars to initiate peer-assessment. Within family medicine, as the discipline has become more established, there has been a shift to train and assess more in the district hospitals and PHC, with less exposure to regional hospital departments [4, 11]. Such a shift requires that a culture of training and assessment is initiated, valued and nurtured by both the district health services and universities. Current forms of assessment encourage registrars to demonstrate their competence, whereas valuable learning is often based on mistakes, errors, problems and less than perfect outcomes [63, 64]. Demonstrating learning also requires evidence of a shift in competency over time from a less than adequate starting point. This has implications for how the summative assessment of the portfolio is constructed. Summative assessment of the portfolio should focus on whether these formative activities have taken place adequately. The supervisor and registrar are best able to determine the quality of learning and progress as documented in the portfolio, while the programme co-ordinator is best able to determine the completeness of all that is required. We can think of this as assessment-in and assessment-on the portfolio, not unlike reflection-in and reflection-on action . Registrars and supervisors spoke of a 'work-learn’ dichotomy whereby they struggled to integrate the theory of best practice in terms of the consultation, ethics or evidence-based medicine into everyday work. Part of the challenges of work-based assessment is integrating course assignments with work assessment, assessing how doctors actually practice [65, 66]. As assessment drives learning, a grade and formative feedback provide measurement and meaning to work-based learning, encouraging the registrar to develop into a family physician . Indirectly a good portfolio also provides assessment and feedback on the training programme itself in the local context and can be valuable to the programme manager. Although the use of portfolios for work-based assessment is becoming best practice internationally it needs to be tailored to the contextual realities of low resourced settings where it may be seen as an additional burden for registrars already on the edge of burnout or depression [68–70]. Unlike tertiary health centres, the district health services are not used to the demands of speciality training in South Africa. The portfolio requirements make visible the expectations on registrars and supervisors and brings into focus the need to integrate cultures of service and learning rather than allowing them to be perceived as if they are in opposition [4, 6]. This study sought to understand the experiences and opinions of registrars and supervisors who had used the portfolio in South Africa. We purposefully recruited appropriate participants who would give rich information from across South Africa to get a broad perspective of experience, representing all postgraduate programmes in the country. This meant that because of travelling distances of up to 1400 kilometres we decided on telephonic interviews. We acknowledge that telephonic interviews may have limitations compared to face-to-face interviews, for example periods of silent reflection could be more acceptable in face-to-face interviews. However, because the author was familiar with the context of the training programmes and many of the key people, he was able to engage the respondents easily and encourage them to elaborate on their answers. The interviews also lasted between 30-60 minutes, which was deemed sufficient for thorough exploration of the key topics. The results of the study as with all qualitative research cannot be easily generalised to other populations and the readers will need to decide what findings are transferable to their own context. Continue with the national portfolio as an acceptable tool to support work-based learning and assessment. Advocate for a culture of clinical training in the health districts, recognizing the co-benefits of service delivery and clinical learning. Develop registrars’ and supervisors’ self-awareness and ability to reflect on and learn from their clinical experience in a structured way that can be documented. Develop electronic tools and move towards an e-portfolio. Focus on developing the capacity of supervisors to support adult learning in the work place and to formally recognise their role as trainer or mentor. Allow time for new educational practice to be integrated into the work-place with a shift from traditional pedagogy to adult learning. Develop an approach to summative assessment of the portfolio. A portfolio assessment tool will be described and evaluated in a future study. The portfolio primarily had an educational impact through making explicit the expectations of registrars and supervisors in the workplace. This impact was tempered by a lack of engagement in the process by registrars and supervisors who also lacked essential skills in reflection, feedback and assessment. The acceptability of the portfolio was limited by service delivery demands, incongruence between the clinical context and educational requirements, design of the logbook and easy availability of the associated tools. Its acceptability and usefulness as a learning tool should increase over time as supervisors and registrars become more competent in its use. The use of the portfolio for formative assessment was strongly supported and appreciated, but was not always happening and in some cases registrars had even organised peer assessment. There is a need to clarify how it will be used in summative assessment. Thanks to the 17 key informants, and Ms S. Simpson who transcribed the audiotapes. All authors contributed to the planning and design of the study. LJ conducted the interviews. All authors analysed the results and contributed equally to the final writing of the article. All authors read and approved the final manuscript.